“Soulful, imaginative, and rhythmically contagious,” (The New York Times) Minneapolis-based Ragamala Dance Company is highly acclaimed for creating a genre of performance that brings together a contemporary Western aesthetic with an Indian ethos. Sharing the South Indian classical dance form of Bharatanatyam with audiences for over 25 years, Ragamala presents their multi-disciplinary work Written in Water. 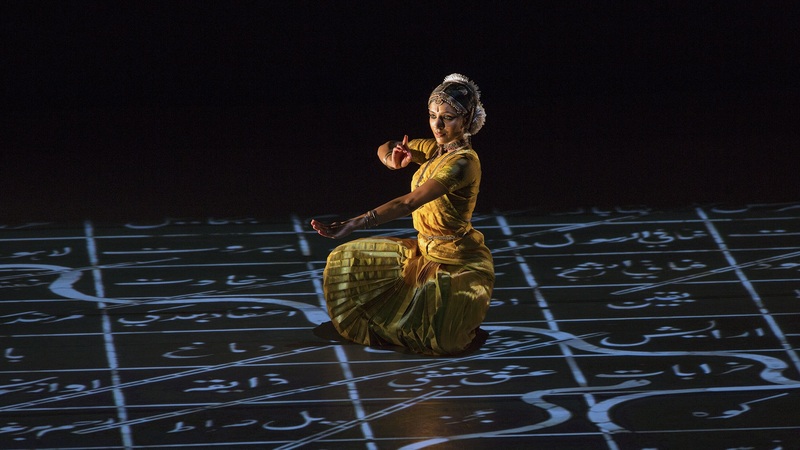 Conceived by Artistic Directors and Doris Duke Performing Artist Awardees Ranee Ramaswamy and Aparna Ramaswamy—and inspired by the second century Indian board game, Paramapadam (the precursor to Snakes & Ladders)—the work explores parallels between ecstasy and longing in Hindu and Sufi thought. With original artwork and a score by Doris Duke Performing Artist Awardee Amir ElSaffar, Written in Water brings together internationally celebrated artists and features a live music ensemble with a distinct alchemy of Iraqi, jazz, and Carnatic instruments.